Disclosure: Tuttle Publishing sent me these products in exchange for an honest review. All opinions are my own. 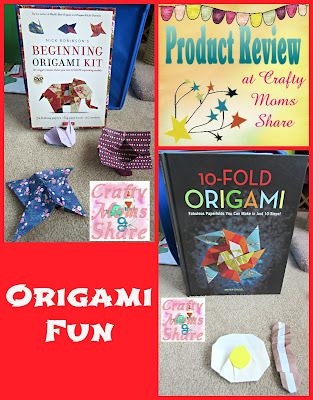 Today I get to share with you two fun Origami products!! The first is Nick Robinson's Beginning Origami Kit. The first product is a kit. It comes with a book, DVD and paper for the projects. I will admit I have not checked out the DVD. I found the instructions in the book very clear. In fact I meant to review this a while ago and made several of the projects in the book but have lost them and the photos I took, so I started over today. The photos and instructions are very clear even with some harder projects. I love how they have you fold the necessary lines ahead to make more difficult projects. 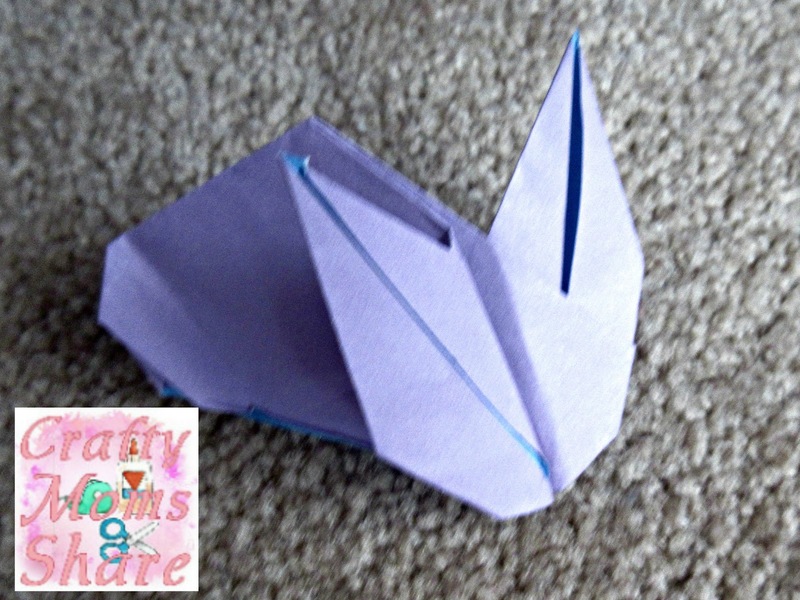 I made the rabbit. I figured Hazel would appreciate a bunny and of course Easter is coming. I made this fun box. 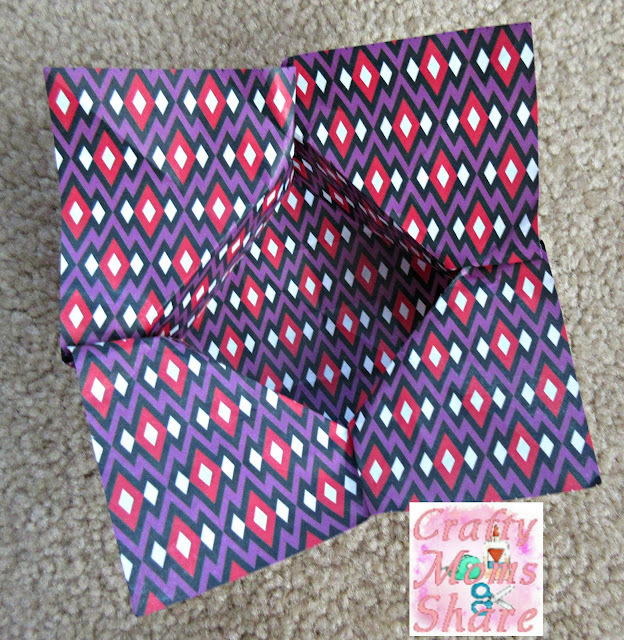 It is rather small with the small paper, but it is pretty and perfect for favors at a party or small items. 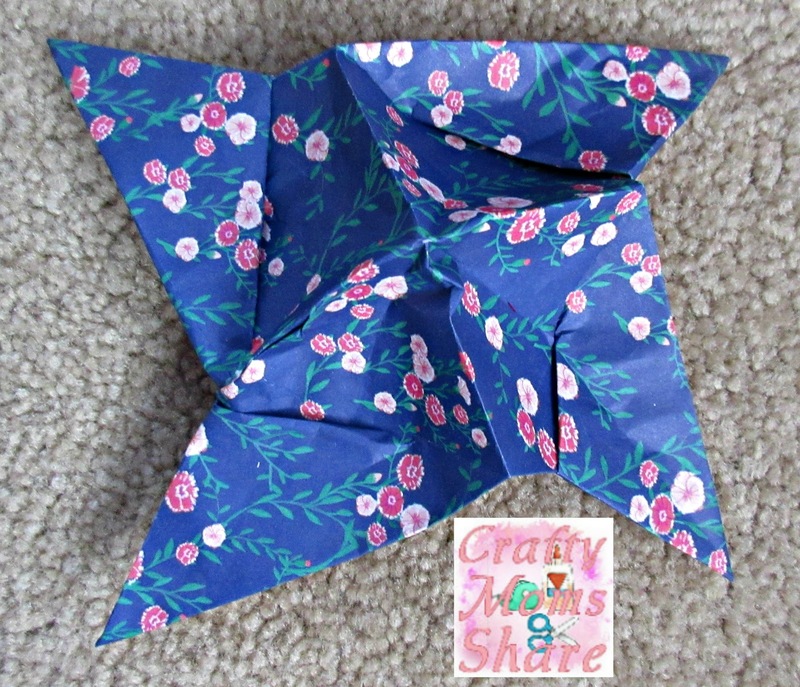 I also made this star with this beautiful paper that comes with the kit. 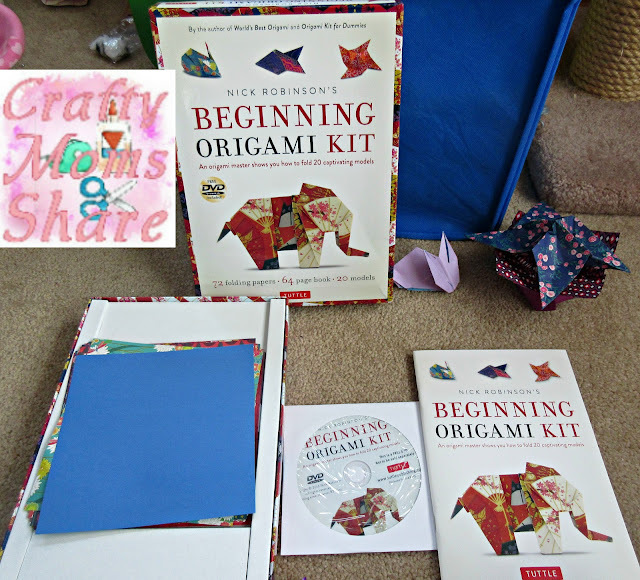 The paper in the kit ranges from designs to double-sided solids. I love the options it gives you and the variety of projects in the book. 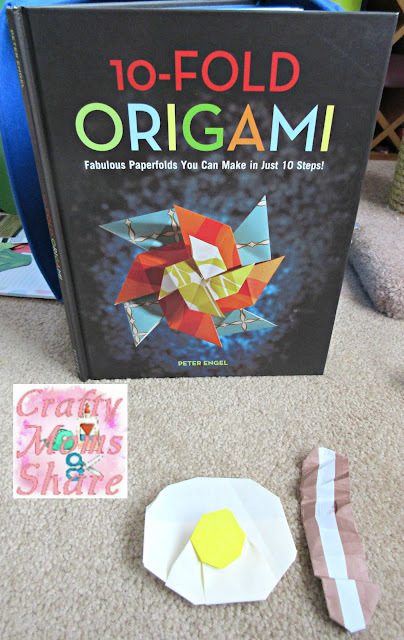 Our next product is a fun book called 10-Fold Origami by Peter Engel. This book's title is a bit misleading. Many of the products have more than ten folds but all of them have ten instruction steps. Often there are instructions to repeat folds on all the sides. The instructions are very clear as well and I found this book extremely easy to follow. 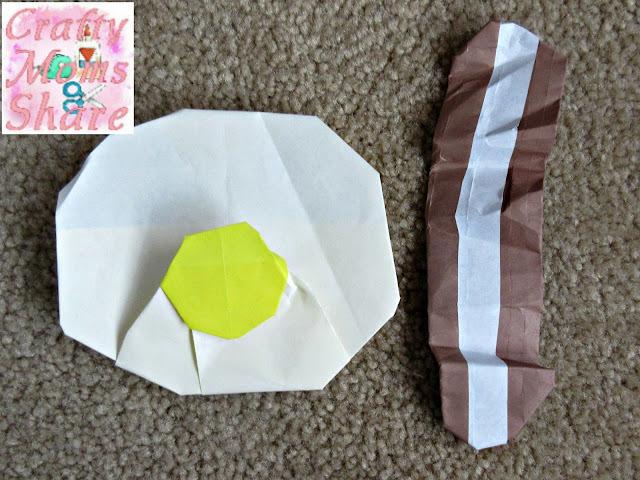 I made this fun egg and bacon. 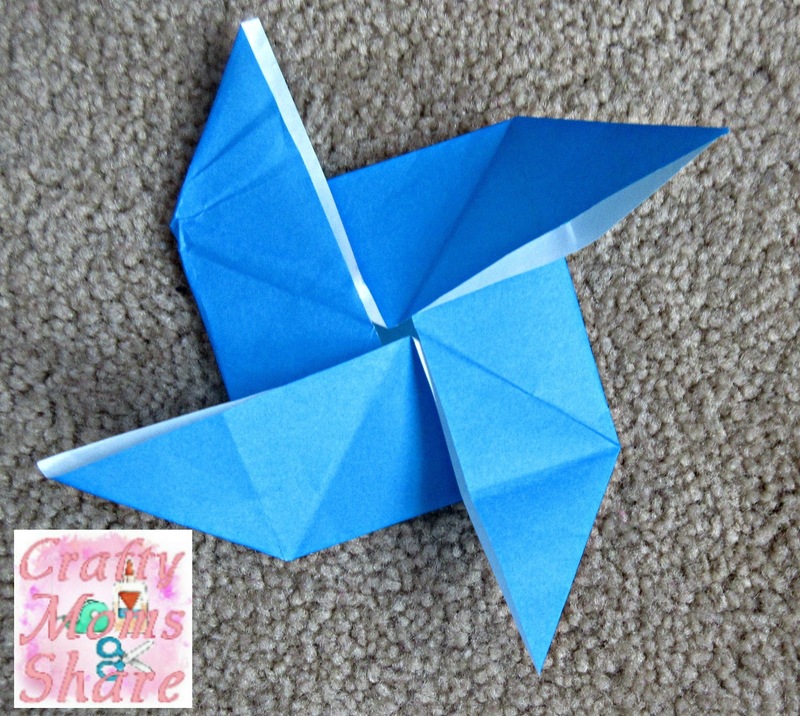 This is the first time I have seen instructions for these in origami. I am thinking they would be fun to make for April Fool's Day or make a green egg for Dr. Seuss's birthday (March 2nd). What do you think? I also made this windmill. I haven't attached it to stick yet, but love how it turned out. Both of these products are great for beginners. I hope you will check them out. Be sure to check out our other origami posts!